MIUI 8 is the latest version of the OS and brings a bunch of new features like Mi Cloud Photo Sync, new photo editing and video editing options, Second space, Quick Ball, Scrolling Screenshots, Dual Apps, Built-in Caller ID system, along with a number of new features and improvements. For several years now, MIUI 8 turns out to be the latest update of Xiaomi's OS (operating system). However, the operating system have over 200 million users around the world and with Xiaomi soliciting feedback from it's coming for new features, it is a continually evolving platform. iOS Rainy Girl is a theme that comes with a superb color combination which will enhance your phone’s beauty. However, it is an iOS inspired theme for MIUI which gives you the opportunity to try the look and feel of iOS 10. iOS Rainy Girl is an official theme which supports both the MIUI 6, MIUI 7 as well as MIUI 8. The theme modified the major parts of MIUI interfaces. Thus, iOS Rainy Girl comes with tons of features that gives you the fancy look and feel you're seeking for. However, the 4 unlock style in the theme makes it exceptional amongst others - the four unlock styles includes the stock, iOS, slide and the fingerprint. Also, it comes with a cool raindrop animations which can be applied in both home and lock screen. To switch on/off the wallpaper animation, simply double tap on your screen. Furthermore, this theme has true look of iOS on the contact, status bar, dialer etc. This theme can be find in any theme store but I'll still drop an alternative link on where to get it directly. Android N is a popular OS now, in fact it's the latest OS apart from the upcoming Android O which already have a beta version but without having a particular name yet. At last the Android N theme is officially available for both MIUI 8 China and MIUI 8 Global ROM. However, the Android N theme comes with look and feel of Android Nougat interfaces along with icons and colors (just the carbon copy of Android N OS). The theme modified the most UI part of MIUI look and feel. Thus, You’ll have a distinct experience in MIUI with Android N theme. Slimdroid is another cool theme that can transform your phone from original theme to something superb without getting into the complicated process of flashing custom ROM in your device. Slimdroid is a designed theme yo can download and install on your phone. However, this theme was designed by DEUGE7746, he's a popular MIUI theme designer with assorted of themes shows released. Thanks to MIUI developer succeeded in including Themes app within MIUI and now meet Slimdroid Based on currently trending materialized design. Hence, many areas have been heavily themed including status bar, icons, clock widgets, dialer, message app and a lot of them. Aside that, the MIUI default lock screen has also been modded. The developer added an amazing lock screen feature which allows its users to make use of “double tap to music control” which makes it more unique. Real iOS 10.2 is an exclusive iOS theme designed for both MIUI 8 China and MIUI 8 Global ROM - The theme carries a nice looking and perfect design oh Apple's iOS 10. However, this theme is the combination of MR KHAERRY ANWAR'S XiOS 10 theme designed by IAMHRITHIK. However, this theme has been tested on Redmi note 3 prime and Redmi 3s. The v1 and v2 is the combination of iOS 9 premium and xiOS 10 theme but many changes was made by the designer. Hence, New version 3.0 is now available but it's paid 'it took too much time to create the new design and anyone can steal my design yet they will not give me credits that's why' said by the developer. However, there are features which are embedded in the version 10.3 which includes the Camera app themed with iOS style, Status icons are updated, Instagram themed with iOS style, transparent recent menu background, New white design status bar, New search bar design in SMS, Settings, Dialer etc. Looking for dark theme for your MIUI device?, here's the best theme for you which is highly customized. Hence, if you're a black lover then you can definitely try out this best dark MIUI 8 theme, I normally enable this theme when ever i use my Redmi device at night, its looks stunning and I suggest you try it out as well. The above themes are the best themes that I've tried so far in my Redmi device, it looks stunning and outstanding. 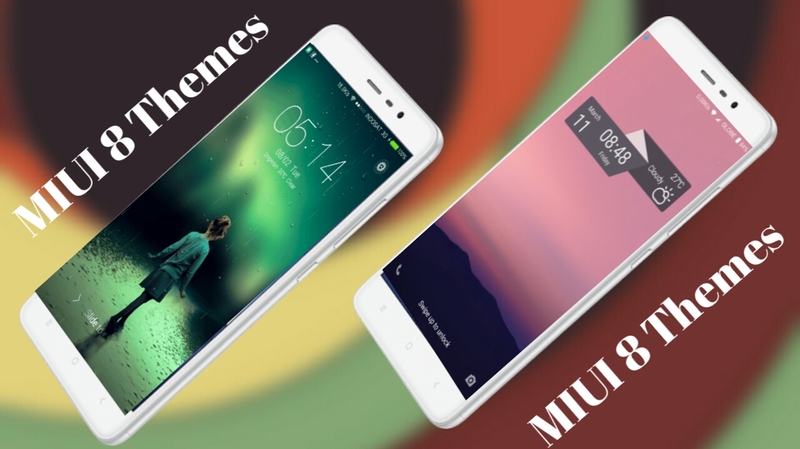 Maybe you must have come across these themes before but wasn't sure of it's component and you pass by, I'm telling you today that you're loosing and the above themes are top 5 best MIUI 8 themes to try in august 2017 that I can recommend for you because I've given it a try.